The $106/night is a group rate that can be honored only by making reservations directly with the hotel at the contact phone number, above. Mention the 390th Bomb Group to receive this special rate. Please do not book through a travel agent or website, as you may have to pay more. 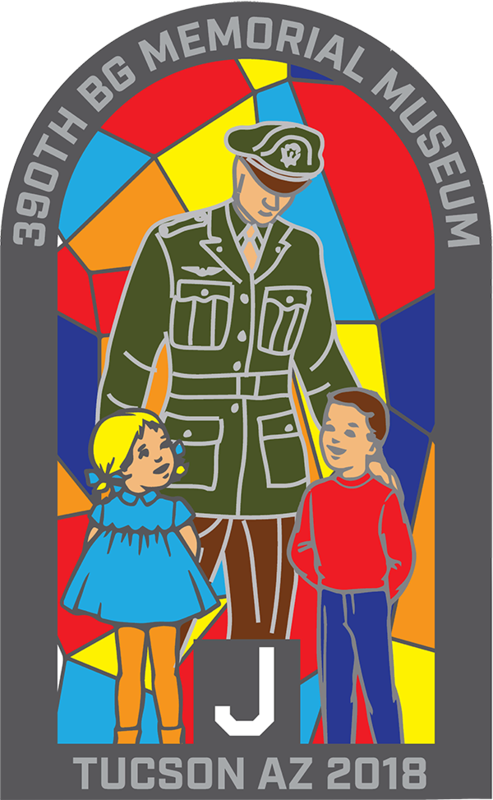 There are 50 rooms reserved for this event; book your reservations early (reunion event registrations are processed separately, through the museum. See below). Bus schedules and hotel event locations will be provided upon your registration at the hotel. 5:00 to 7:30pm Hospitality Party Suite 191/192. Reconnect with family and friends in a relaxing outdoor setting. Drinks and snacks are provided courtesy of Mary & Jim Truitt. REGISTRATION BEGINS ON AUGUST 6 and ENDS OCTOBER 1. To register on or after August, please click on ‘login‘ and create an account if you have not already. Once you are logged in, go to the dropdown menu on the right side of the page and follow prompts. You may also call the museum or contact the museum here. Registrations received prior to August 6 will not be processed. You will be sent a confirmation letter after your registration is processed.